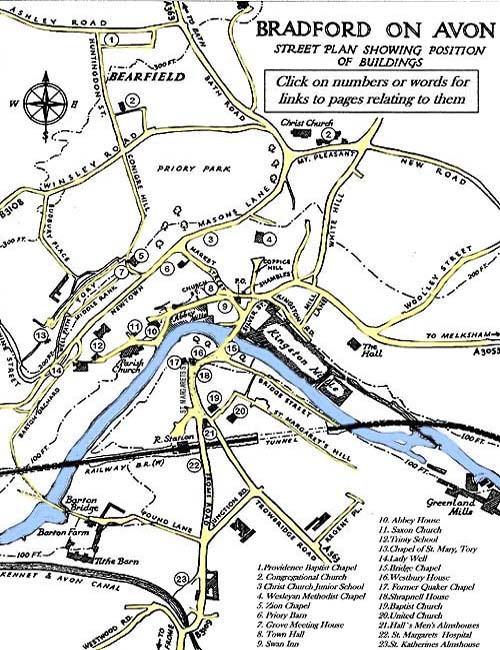 This Web site for Bradford on Avon, in Wiltshire provides a wide collection of maps, photographs and other sources for local history and genealogy.There are over 200 in depth links to the many Historic buildings and families associated with this ancient Market Town. Just click on pictures or words to see more - to return back to this page just click on HOME which appears at the top of all pages. 1841 - Census for St. Margaret`s Pl. Occupiers_of 6 St. Margarets St.
Shrapnell House, 7 St. Margarets St.